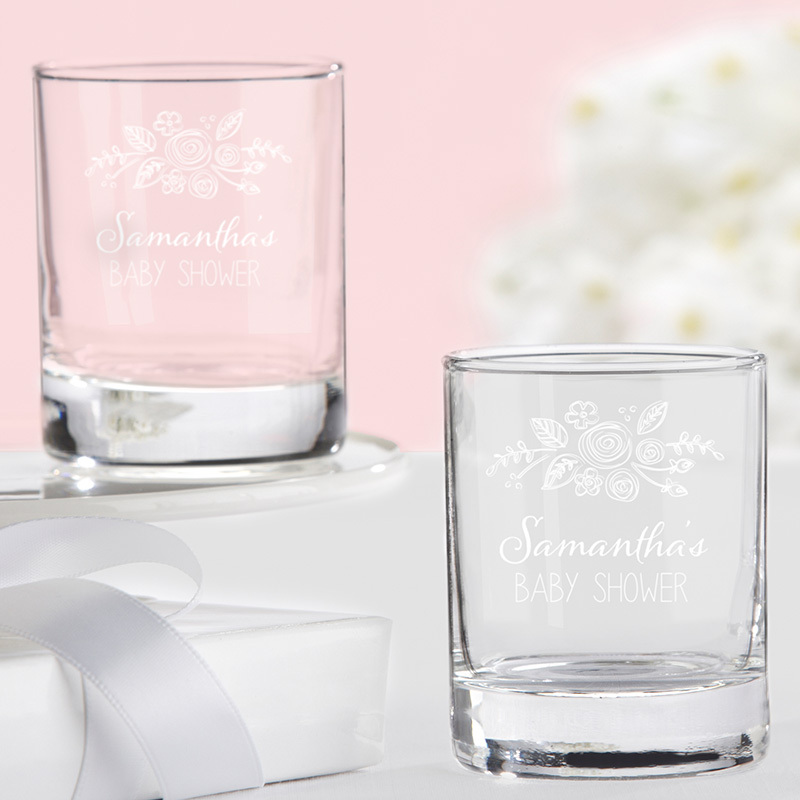 Kate Aspen's personalized shot glasses are the perfect addition to your rustic themed baby shower. 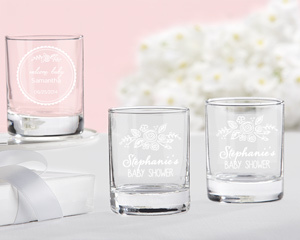 Wrap the glasses with simple twine and these flowery beauties are perfect to use as votives for lighting a buffet table. When the party is over, fill them with nuts or a sweet treat and thank your family and friends with a favor!